Two brand new MELF resistors suitable for repairing GHD 4.2B, 4.2P or GHD Mk5 Gold where either R8 or R11 has gone open circuit. Please change both resistors together. Note that these resistors often fail due to an faulty type 2 cable and socket connection. This is normally caused by a faulty cable socket and we would recommend inspecting the cable socket if you are replacing the resistors. Any sparking can cause either of these resistors to fail, loose mains adapter, dodgy extension lead, dirty mains switch contacts etc. Type 2 cables and sockets must be replaced with the newer more reliable type 3 cable and socket. You should check and clean the mains switch contacts. There is more information about this problem here. Upgraded cable sockets are available here. 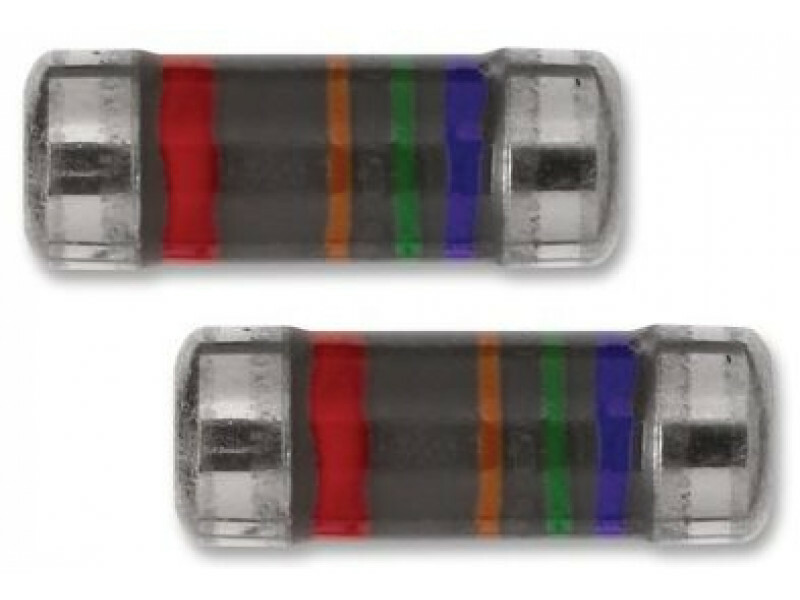 The colours of the resistors and the coloured bands on the resistors supplied can vary from the images shown depending on our supplier's stocks. They will also not match the original resistors markings. This is of no importance.